Thorbjorn Olesen on Sunday won the Turkish Airlines Open, securing the biggest payday of his career after nearly throwing away a seven-shot lead he took into the final round. The 92nd-ranked Dane's lead was reduced to a single shot at one stage thanks to a brilliant scoring burst from David Horsey of England. But, Olesen responded with vital birdies on the 12th, 14th and 15th on his way to a closing 69 to finish 20 under par and claim the prize money of nearly $1.2 million. Olesen's form in Turkey was surprising, given he made the cut at just four of his last 13 events. His last win was at the Dunhill Links Championship in October last year. Horsey and China's Li Haotong shared the second place on 17 under after matching rounds of 65, as Austria's Bernd Wiesberger was two shots further back in fourth. No player has ever squandered a seven-shot lead after 54 holes on the European Tour, with Martin Kaymer the most recent to lose a six-shot advantage at last year's Abu Dhabi Championship. But, that looked a distinct possibility once Horsey fired five birdies to race to the turn in 29 and Olesen three-putted the ninth to card just his fourth bogey of the week. The gap was briefly down to one when Horsey two-putted from long range for a birdie on the par-five 12th, with Olesen finding a greenside bunker with his approach to the same hole. Olesen came up eight feet short with his recovery from the sand but crucially holed the putt to restore his two-shot lead and then produced a superb tee shot on the par-three 14th to set up a tap-in birdie. Horsey closed the gap to two shots once more with a birdie on the 15th, only for Olesen to do likewise in the group behind after pitching to four feet. And when Horsey three-putted the 16th after leaving himself with a severely breaking birdie putt, Olesen could afford to drop a shot at the same hole on his way to a hard-fought fourth European Tour title. 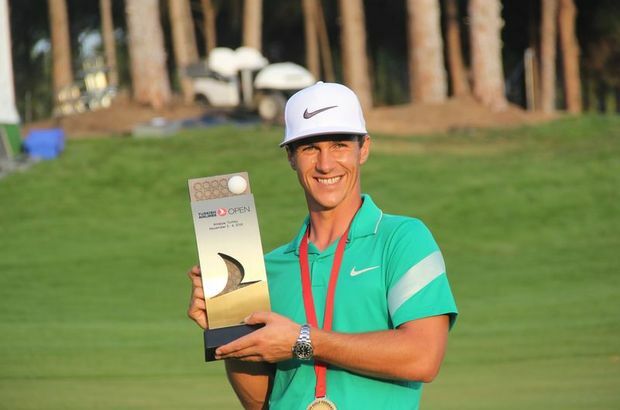 Olesen said, "I'm very happy to win the Turkish Airlines Open 2016. 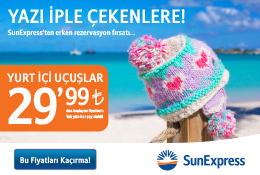 I want to especially thank Turkish Airlines and the other supporters of the tournament. The tournament was an unforgettable experience for me." "I actually slept alright the last couple of days," Olesen said when asked about his huge overnight lead. "It was a weird feeling - I knew the guys today were able to shoot a low number so I had to make a few birdies. After nine holes guys were shooting really low numbers so all of a sudden there was a lot of pressure on." "I felt like I kept it pretty steady. Obviously the last four holes were tough mentally," he said. "It means a lot," he added. "The last couple of months have been pretty poor and I haven't played well and all of a sudden you're leading by a big margin and it was difficult when you haven't been playing well for that long."